If you're searching for a casual yet absolutely chic getup, team a Tommy Hilfiger ribbed cowl neck sweater from Macy's with a black and gold sequin pencil skirt. These two garments are super comfy and they also look wonderful together. Up the cool of your look by wearing red suede pumps. If you're looking for a casual yet totally chic look, consider pairing a Tommy Hilfiger ribbed cowl neck sweater with black skinny pants. As well as super comfy, these two garments look incredible paired together. 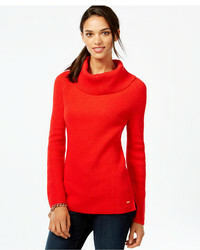 If you're a fan of comfort dressing when it comes to fashion, you'll love this uber cute combination of a Tommy Hilfiger ribbed cowl neck sweater from Macy's and blue ripped skinny jeans. 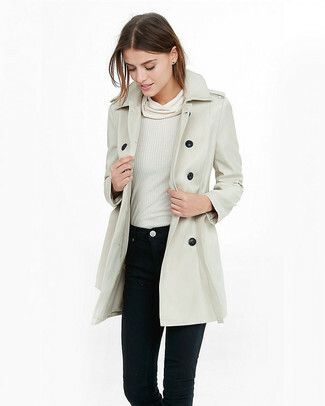 Dress up this getup with red suede over the knee boots. 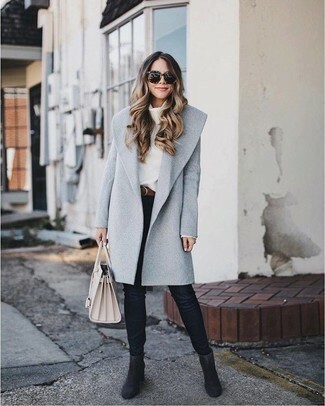 If you're on the lookout for a casual yet totally chic look, reach for a white cowl-neck sweater and black skinny jeans. These two pieces are very comfortable and they will also look amazing together. If you're after a casual yet totally chic outfit, wear a Tommy Hilfiger ribbed cowl neck sweater from Macy's and a black denim button skirt. These two items are very comfy and will look great when worn together. Rock a pair of black suede over the knee boots to kick things up to the next level. If you're on the lookout for a casual yet stylish look, team a Tommy Hilfiger ribbed cowl neck sweater from Macy's with blue flare jeans. Both of these garments are super comfy and they will also look great when paired together. If you're on a mission for a casual yet absolutely chic getup, pair a Tommy Hilfiger ribbed cowl neck sweater with black skinny jeans. Both pieces are very comfy and they also look incredible together. Up the cool of your ensemble by wearing black suede ankle boots. 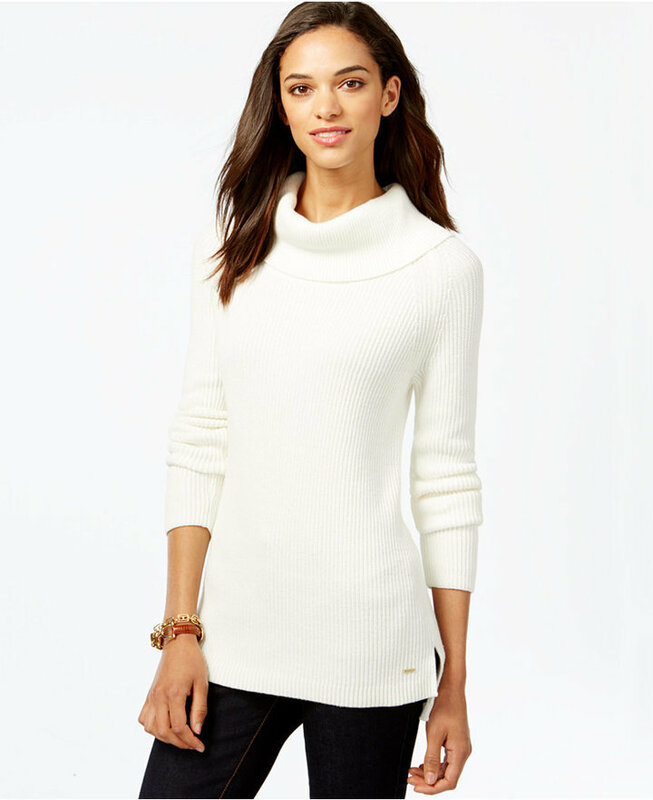 If you're scouting for a casual yet totally stylish ensemble, team a Tommy Hilfiger ribbed cowl neck sweater with white tapered pants. As well as totally comfy, these two pieces look amazing together. Throw in a pair of beige leather heeled sandals to va-va-voom your outfit. If you're obsessed with relaxed dressing when it comes to your personal style, you'll love this adorable pairing of a Tommy Hilfiger ribbed cowl neck sweater and black leggings. Rocking a pair of black suede ankle boots is an easy way to add extra flair to your look.